You are looking at the first ever fashion shot taken on the 63rd floor of the new One World Trade Center. The girl in the picture, who produces the most iconic catwalks on earth, is about to turn America’s tallest buildling into a fashion destination on June 25th, 2014. Overlooking New York’s famous skyline at sunset, Jessica Minh Anh’s multiculural Summer Fashion Show will celebrate the strength of the new generation. The model turned entrepreneur will bring together an exquisite combination of Haute Couture, high end Ready-to-Wear, and active wear collections from different continents. Similar to her previous sky high catwalks, there will be a creative mix of simplicity and sophistication with a burst of colors, textures and dramatic flair. The current lineup includes Lebanese celebrity designer Ziad Nakad, Peruvian artist and public figure Norka Peralta, Spanish sensation Diego Cortizas of Chula, Indian fashion house LiBAS Reshma Riyaz Gangji, Indonesian lifestyle brand HAY UNITED, America’s very own accessory brand Cat Footwear, Russian talent Alina German, Brazilian jeweler Cristina Sabatini, and the Philippines’ pride Puey Quiñones. Each designer will premiere a special collection inspired by the symbolic location. “One World Trade Center is a global icon and is the perfect venue for a fashion show that celebrates designers from across the world.” said Jordan Barowitz, Director of External Affairs for The Durst Organization. To complement Jessica Minh Anh's extraordinary vision, New York based sound and lighting specialist Bentley Meeker will utilize theatrical fixtures to evenly light the highly anticipated catwalk. The artistic set up will cast the models' reflections against the octagonal glass walls as well as onto the smooth and polished 63rd floor of the Tower. Besides the flawless fashion demonstrations and high-tech setups, Jessica’s impressive hairstyle will be part of the attraction. Taking on the challenge is award winning Italian stylist Nunzio Saviano, who will complete Jessica’s signature look. Joining the creative process is American cosmetics brand Mehron equipped with their innovative line of celebrity favored products. The red carpet event will welcome company directors and CEOs, country ambassadors and consulates, America’s influencers, international designers, and national and international press. To ensure a unique experience for the exclusive guests, Jessica Minh Anh has teamed up with French chef Sebastien Pourrat, owner of Cocotte SoHo to bring in the most exquisite cuisine and beverage collections. Sebastien will operate an open kitchen and create a special ambiance that matches the grandness of the event. The official press conference will be held closer to the show at W New York - Downtown, where One World Trade Center can be seen at its best. “We are thrilled to be a part of this historic event” said Patrick Horstmann, General Manager. “W always offers insider access to what is new/next in fashion, and Jessica Minh Anh’s Summer Fashion Show definitely exemplifies that.” The event is also supported by Fashion One, Geo Events, Sweets First, Howard Johnson SoHo, Print City, Hollywood Banners, and A76 Productions. On her decision to select America’s newest landmark for her next history making showcase, Jessica Minh Anh said “One World Trade Center represents determination, innovation, and ambition, which are the qualities I stand for as a young entrepreneur. Similar to the Tower, I strongly believe you’ve got to dig deep to rise high.” This principle seems to be consistently reflected in Jessica Minh Anh’s many international catwalks as she continues to reach new heights and claim the sky. Prior to hosting the world’s highest fashion show on the Grand Canyon Skywalk at 4,000 feet above the Colorado River in 2013, Jessica Minh Anh has hosted previous fashion phenomena’s on London’s Tower Bridge PETRONAS Twin Towers’ Skybridge at 44 and 175 meter high meters respectively. For more information about the show, please visit www.jmodelmanagement.co.uk and www.facebook.com/jmodelmanagement. 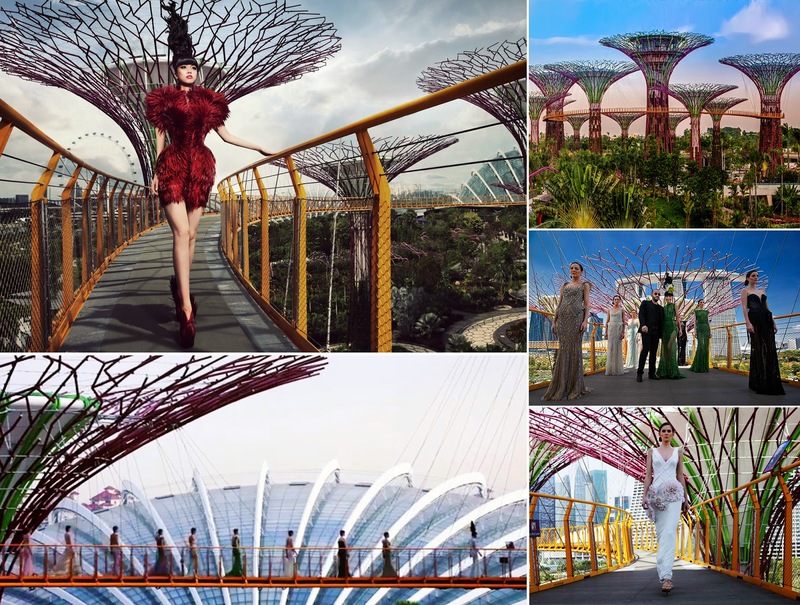 In March 2014, J Model Management set another milestone in the fashion world with the 128 metre long catwalk at Asia’s latest architectural wonder Gardens by the Bay’s OCBC Skyway in Singapore. The sky high catwalk overlooked Singapore’s famous skyline and brought fashion closer to nature. The show was covered by Fashion TV, Insider TV, Channel U, VTV, Belfast Telegraph, Le Telegramme, Yahoo! Singapore, XINMSN, ELLE, ICON, U Weekly, Time Out Singapore, Thanh Nien News, Today, Luxury Insider, and Lianhe Zaobao among many others. In November 2013, J Model Management made history with the world’s highest and most unique catwalk on the iconic Grand Canyon Skywalk in Arizona, USA. At the extreme height of 4,000 feet above the Colorado River, the show demonstrated the concept of models walking in the sky thanks to the crystal clear glass structure of the famous bridge. Showcasing exclusive fashion collections from over 10 countries, the show generated massive press coverage around the globe in ABC Channel (USA), The Telegraph (UK), WWD (USA), Marie Claire (Netherlands), The Independent (UK), KTNV (USA), Canale 5 (Italy), RTP TV (Portugal), MTV (Lebanon), Le Parisien (France), Harper’s Bazaar (Vietnam), ELLE (China), Fashion Time (Russia), Il Messaggero (Italy), Fama (Spain), and The New Paper (Singapore), Condé Nast Travel, and United Airline’s inflight magazine among many others. In January 2013, J Model Management hosted the world’s first sundeck catwalk on the floating museum of contemporary Italian art, the Costa Atlantica, overlooking Dubai’s famous skyline. It was a perfect combination of European elegant taste, Asian charm, American diverse culture, and Arabic high society lifestyle. The highly anticipated catwalk was covered by CNN, CNBC, Forbes Middle East, The National, Dubai TV, Abu Dhabi TV, Fashion One TV, Sama TV, Rotana TV, Marine TV, and OK! Middle East just to name a few. The exclusive guest list included countries’ ambassadors, luxury brand managers, retail group directors, and international fashion designers. 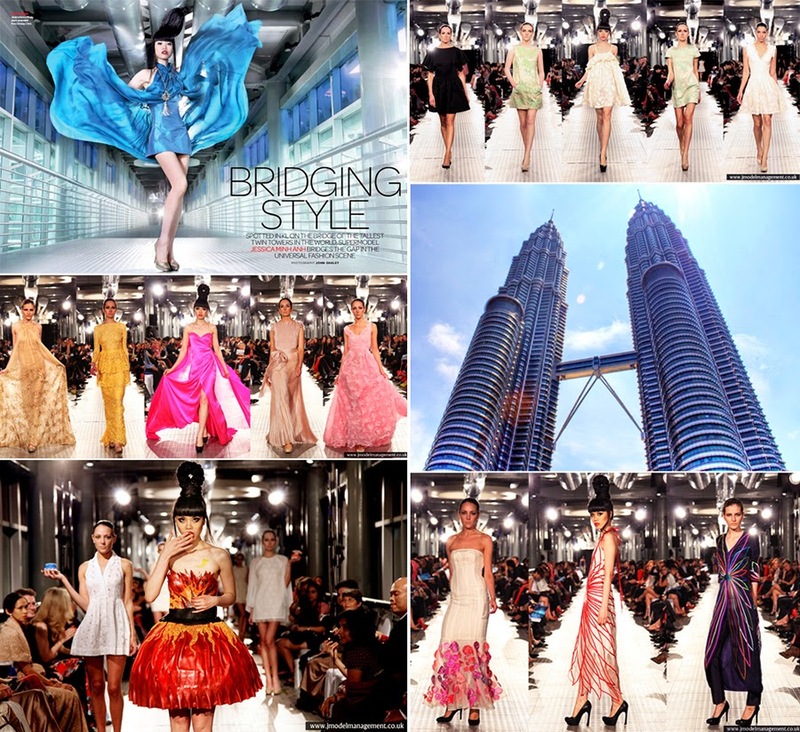 In March 2012, J Model Management became the first ever event organiser to gain the permission from PETRONAS to host an international fashion phenomenon on the 58 metre long Skybridge of the world’s tallest twin structure, the PETRONAS Twin Towers at the height of 175 metres above street level. The hotly anticipated red carpet event showcased collections from 12 countries, marking a new height in fashion. Ending the show with a bang, a cake dress was presented in front of a string of VIPs including ambassadors, ministers, international designers and top press. 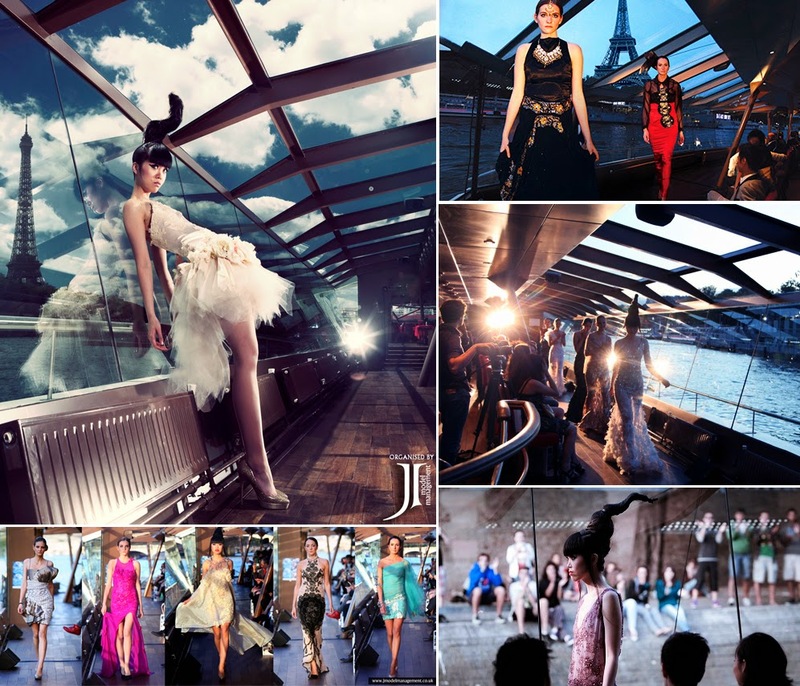 J Model Management created an exceptional fashion show experience in July 2012 and again in May 2013 when it turned River Seine’s giant glass boat Le Jean Bruel into a 90 metre floating catwalk. Guests were seated facing the multi-facetted glass window while the boat was cruising to watch models walking in front of them as if they were walking on water. Thanks to a 360 degree view from the boat, architectural masterpieces such as Eiffel Tower, Notre Dame, Louvre, Grand Palais and 37 beautiful bridges became the natural backdrop for the phenomenal catwalk. The show presented designs from 10 countries and was covered by Vogue Italia, Le Nouvel ObservateurD-La Repubblica, Le Parisien, L’Officiel, El Comercio, TELE5, Fashion One TV, and Fashion Channel IT among many others. 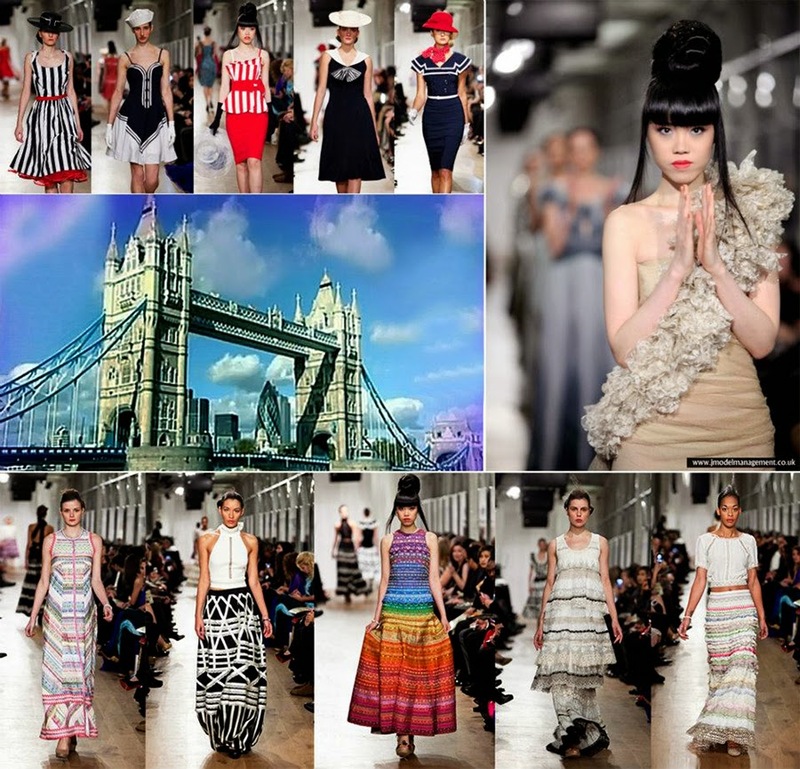 J Model Management made history in October 2011 when it turned England’s iconic London Tower Bridge into the world's newest catwalk. The 61 meter long walkway, 44 metres above the River Thames, was graced by 15 exclusive collections of top designers from 4 continents. J Model Management proved to the City of London that such event was possible. The show was covered by ITV, CNC, IMEDI, RTE, Drapers among many others and attended by influential faces from various industries as well as ambassadors from 15 countries and Director of London 2012 Sponsorship and Operations, Mr Alan Williams.